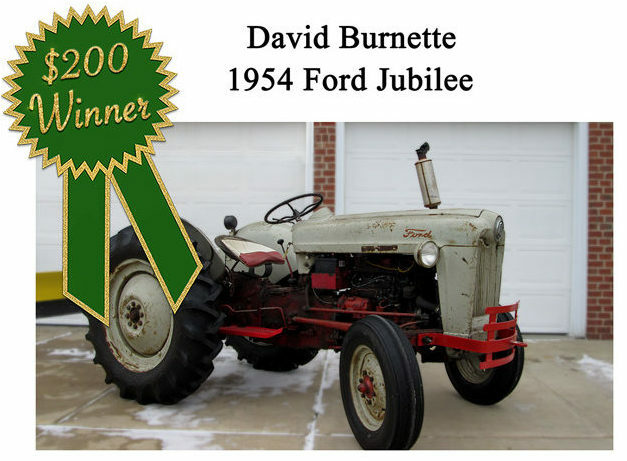 is David’s 1954 Ford Jubilee. Congratulations, David! 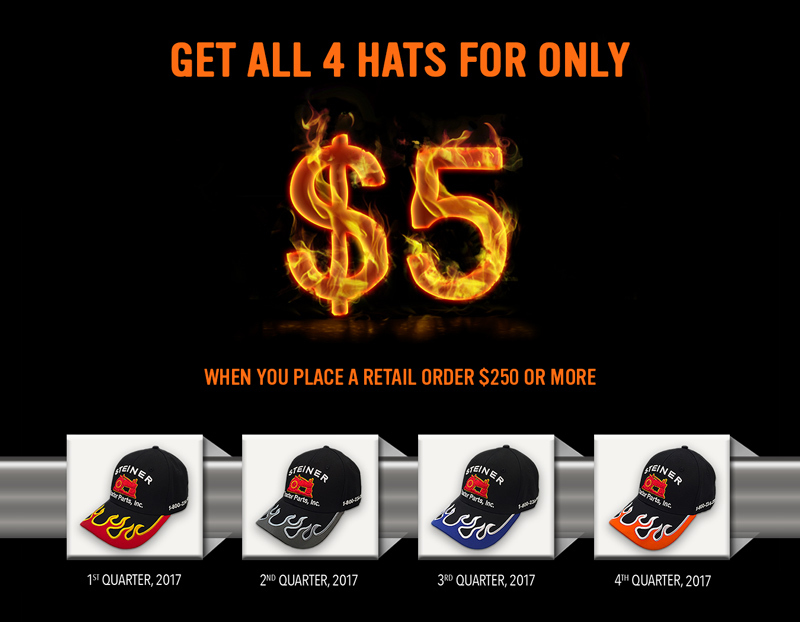 be enrolled for a chance to win a $200 STP gift card? 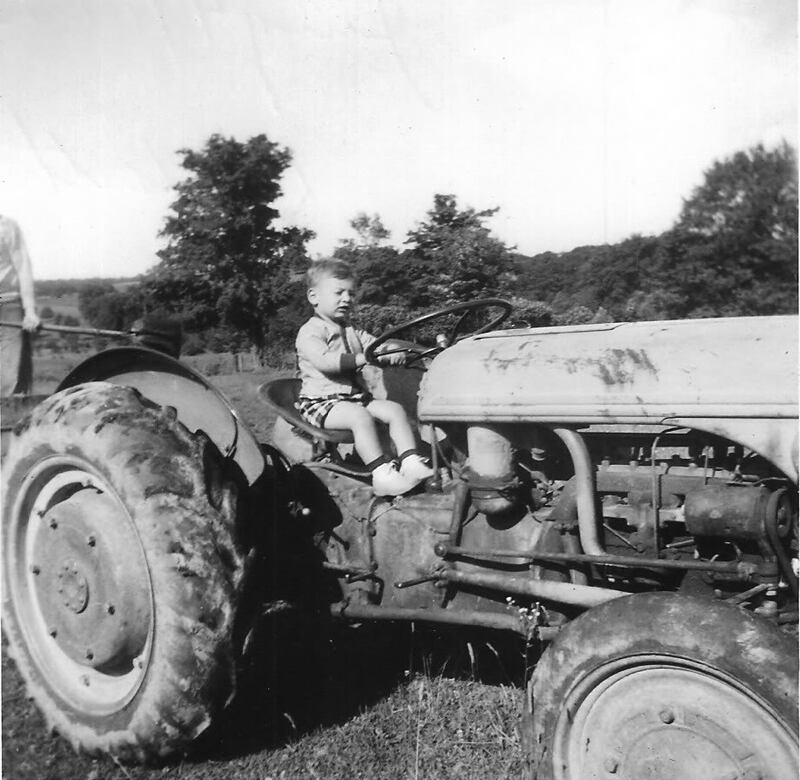 Ever since I was a young boy, as seen here on Grandpa’s old Ford tractor in 1953, I have always loved Ford tractors. My Grandpa died when I was young and the place was sold along with the tractor. Never could track down that tractor. 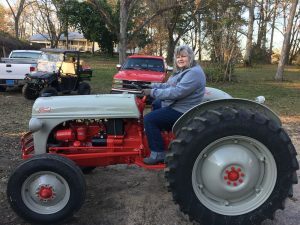 I now have a couple/few Ford tractors of my own to help out on my small farm. 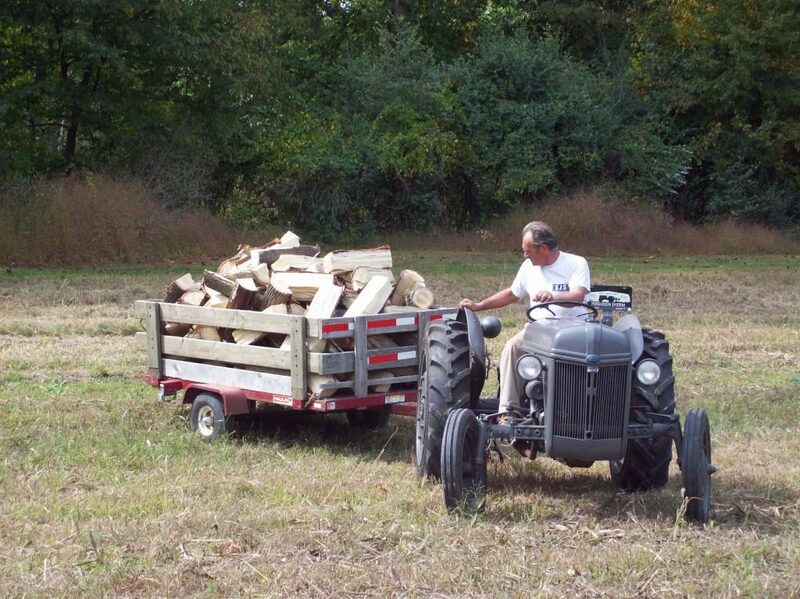 Photo is of my 1939 Ford 9n and 1960 Ford workmaster 631 with 711 one arm loader in front of my wood shed. 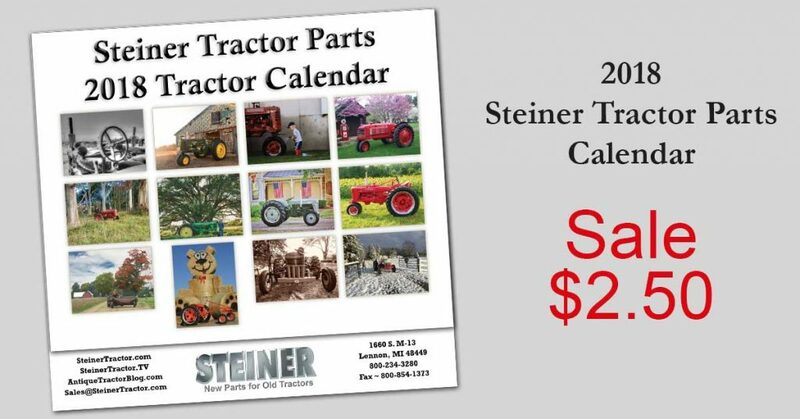 Steiner Tractor Parts help keep them running, and looking good, so I can get the job done. 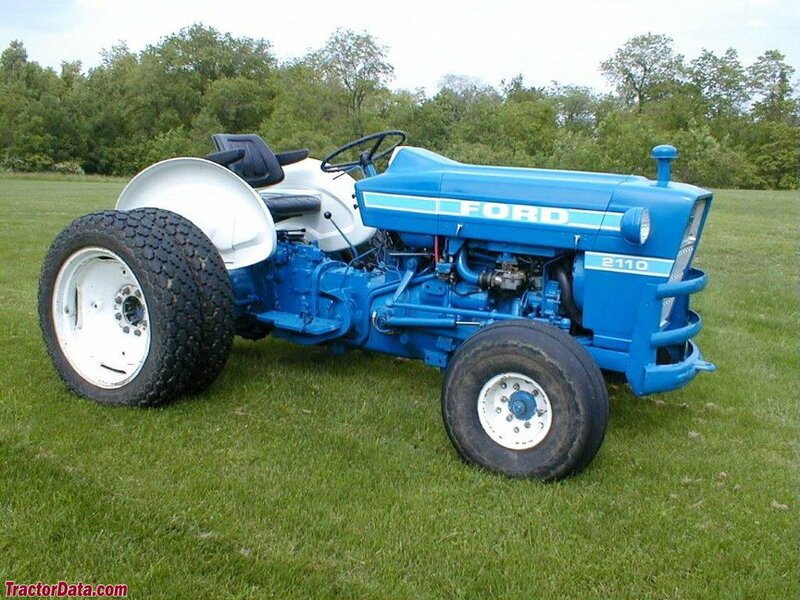 For more Ford tractor stories and info visit here! January’s featured photo was submitted by Keith Fink. 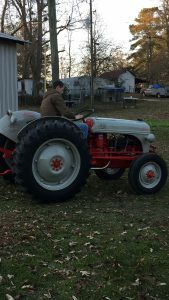 “This is our 1942 Ford 9N which belongs to our 11-year old son, Hank (pictured). The whole family helped to fix up and paint the tractor. 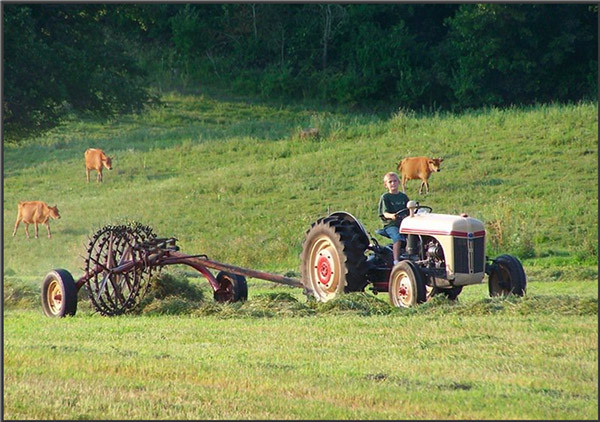 This is one of three ‘old tractors’ on our dairy farm, but none of them have achieved collector status yet as they are all daily workers.” Click here to see the other winning tractor photos that were selected to appear in our 2018 catalog. Confused on Parts for Ford 2110 & 2120’s? There were 3 different ones of each built, here are the variations. 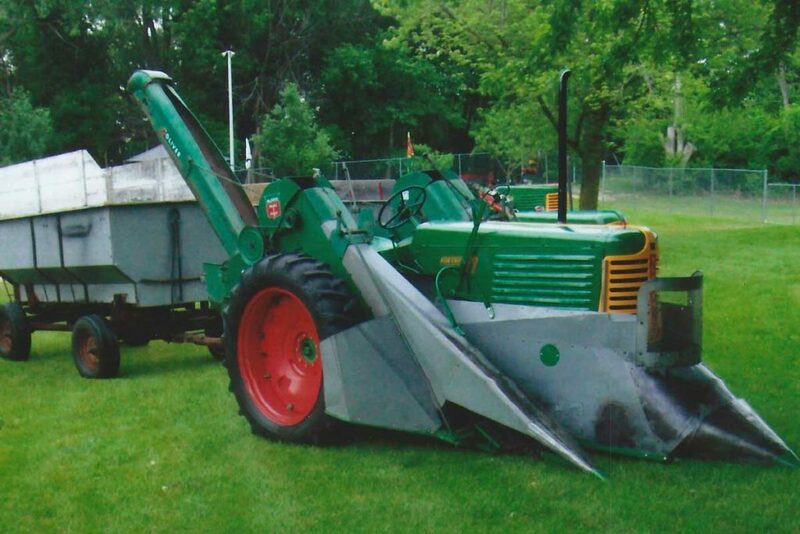 2120 3 cylinder made from 1965 to 1974, this is a ‘highway’ mowing tractor, it used a 158 C.I. 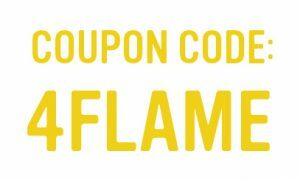 or 175 C.I. gas / diesel (parts from the 2000 3 cylinder fits this). 2120 4 cylinder 42 HP diesel (138 C.I.) built by Shibaura in Japan from 1987 thru 2002 (this is a stand alone compact tractor that unless we have the part we will need to try to special order parts for). 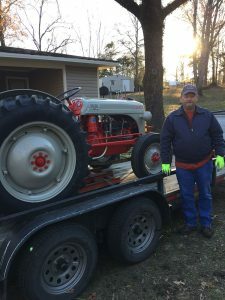 Gene Hopkins of Cottondale, Alabama is the winner of Steiner Tractor Parts, Inc. 40 year anniversary tractor sweepstakes. 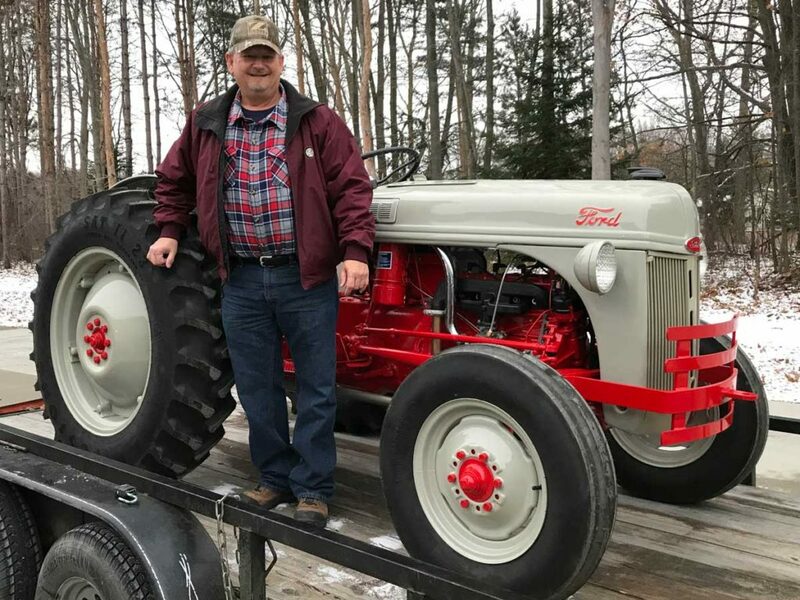 Gene’s name was drawn from 18,960 entries to win a restored Ford 8N. 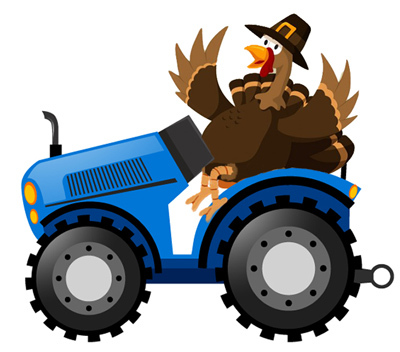 Gene took a few days off from his job working for the city to drive up and get his new tractor. 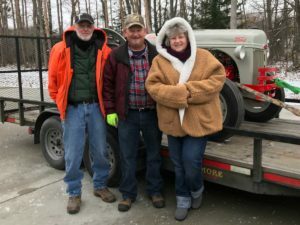 Gene, his wife Patti and long time friend Curtis made the trip to Steiner’s over the weekend and arrived at 8:00 am Monday right after we opened for the day. After about an hour of chit chat, a small tour, and loading the tractor Gene and his group headed south trying to miss the next snow storm heading thru Michigan. 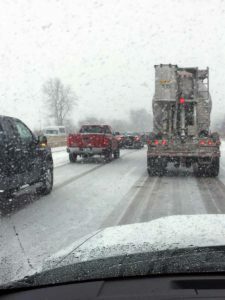 I received an update from Gene about 20 miles north of Toledo when they came to a standstill on the expressway. Weather permitting they should arrive back in Alabama late Tuesday evening. 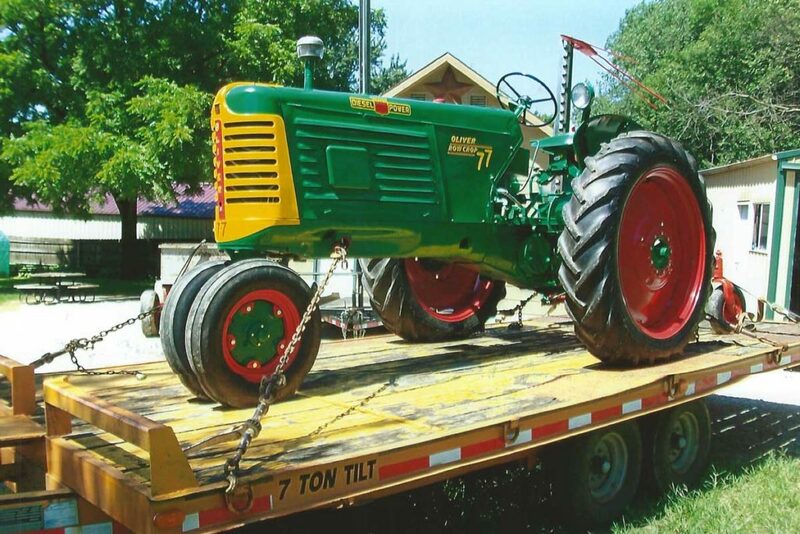 Gene said the 8N “will be used for parades and enjoyment, she will not be a work tractor.” His children, grandchildren, nieces, and nephews are just as excited as Gene to get this tractor home. 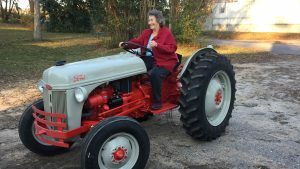 He said they have been coming up with all kinds of ideas of where to take the tractor. Gene sent these photos to let us know they made it home safely and that the family was enjoying their new ride! 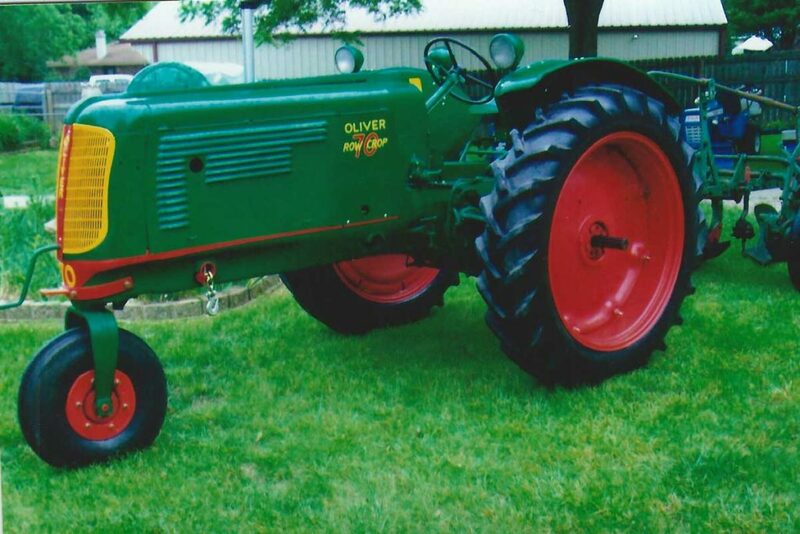 Picture of my 1946 Oliver 60 that my Grandad left me from the farm. I restored it in 1976, also in the picture is my 1949 Oliver 77 gas. I took 4 junk tractors to make one, also put on a loader for snow and dirt work. 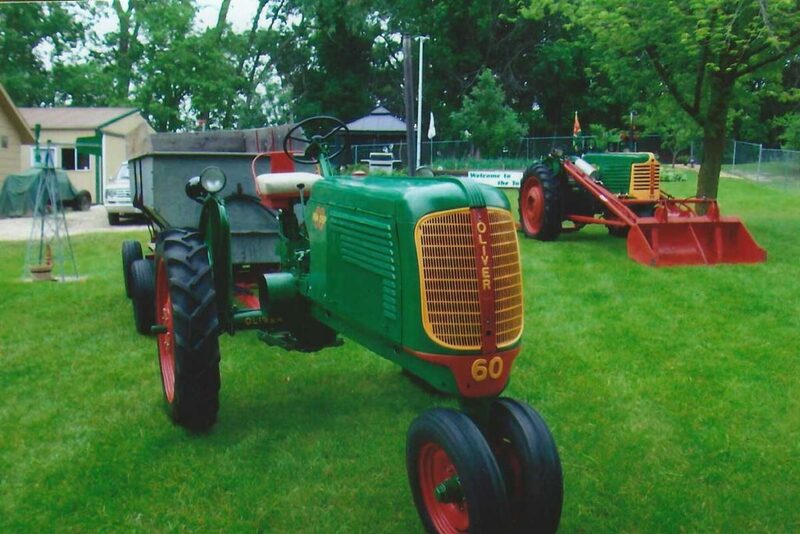 My Dad’s 1953 Oliver 77 diesel loaded to go to a tractor show last Summer. I also restored the 77 D in 1999. My 70 Oliver 1946 simple front that I restored in 2005. My 1949 Oliver 77 gas with a 1958 model #4 2 row corn picker that I restored in 1997. 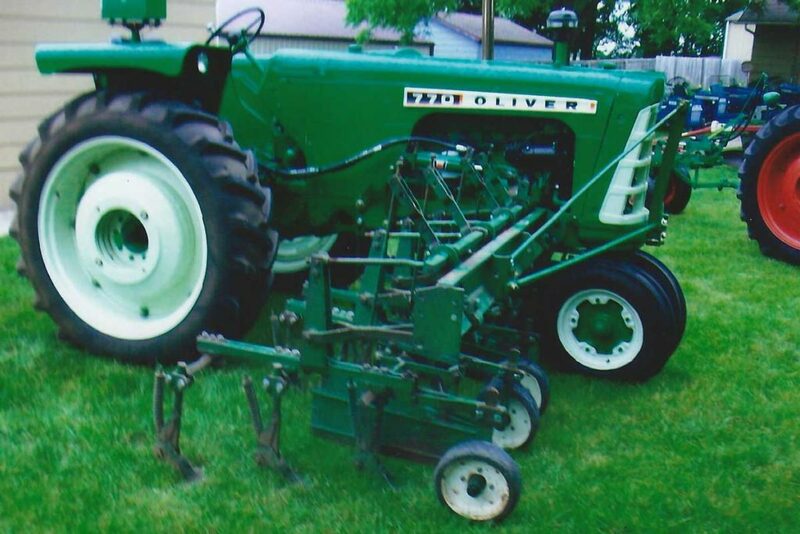 My 770 Oliver gas Row Crop 1964 with a 4 row front mounted cultivator. 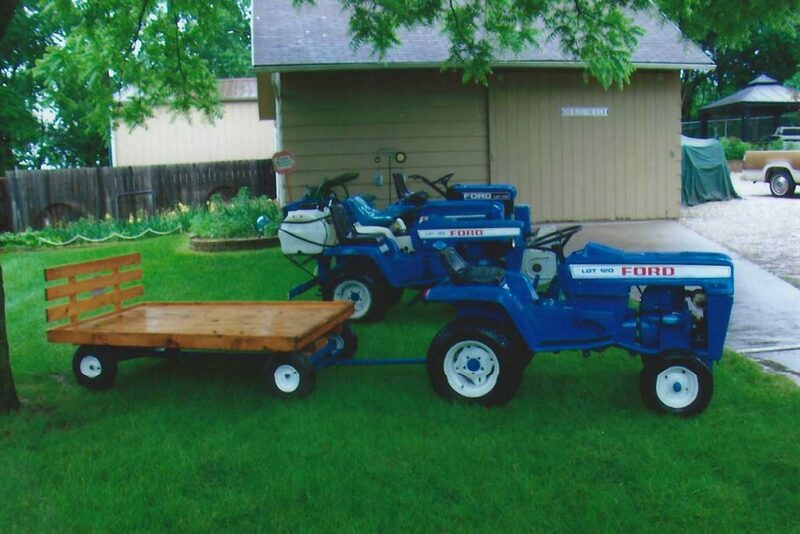 A picture of several of my Ford garden tractors that I have been restoring for the last several years. 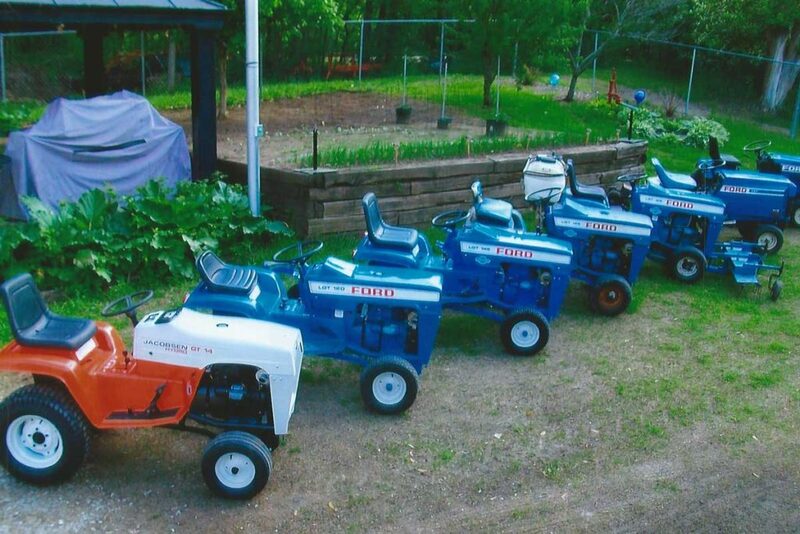 Another picture of the garden tractors, as of today I have 10 Ford garden tractors with different pieces of equipment on each of them. 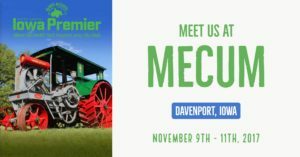 I have another garden tractor that I traded for, coming in a couple months.